The original reason for creating the Flex(ible) Pre-Processor was to simulate the pre-processing that is built into many compilers. Often structures such as comments and conditional includes are permitted anywhere in a source code file, which breaks conformity with the language's grammar (or parser) if not removed. Many of these can be dealt with using fairly simple text processing. To support rapid prototyping of language processing engines I created a utility that can run a series text operations against text input based on an instructions file, to avoid the need a special purpose program just to pre-process the source code before it is passed to the next stage of processing (generally the parser). 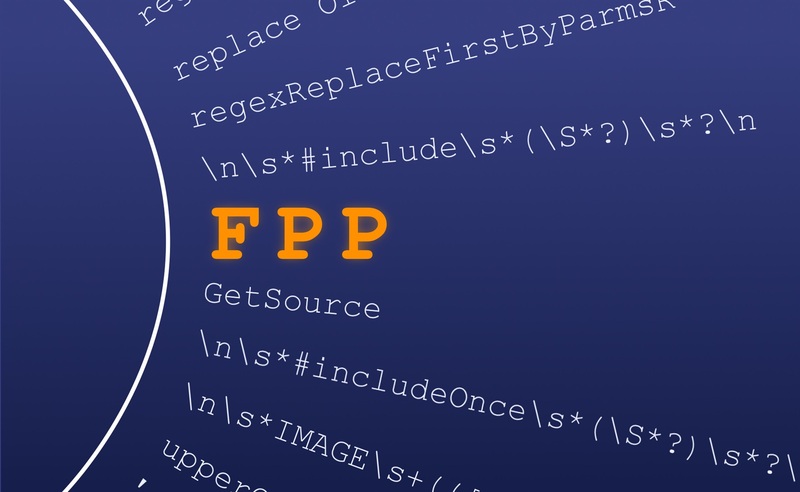 Flex Pre-Processor is a Windows command line application based on the .Net Framework 4 Client Profile libraries. Input may be sourced from either the console or a file, and similary output may be sent to the console or a file. Instructions must always be provided in an external text file. Searches for a regular expression (arg 1) and replaces each match with the given text (arg 2). Replacement text may be empty but there must be at least two tab characters on the line to mark the parameters. Within replacement text "\r" and "\n" will be replace with a carriage return and line feed respectively. Regular expression capture groups will may also be substituted back in to the replacement text, starting at $1. Searches for a regular expression (arg 1) and replaces the first match only with the given text (arg 2). Replacement text may be empty but there must be at least two tab characters on the line to mark the parameters. Searches for a regular expression (arg 1) and replaces the first unique occurrence of the first capture group (parenthesised part) with the given text (arg 2). This is handy if something may be delcared once and referred to many times later in the text (i.e. source code) using similar syntax, and you need to highlight the declarations. Does a plain string replacement of the search text with the replacement text. The replacement text is not modified at all. Converts elements of the source text that do not match the quoted text regular expression to upper case. Designed so that the 'code' parts of a source file can be uppercased while leaving string literals alone. Converts elements of the source text that do not match the quoted text regular expression to lower case. Designed so that the 'code' parts of a source file can be lowercased while leaving string literals alone. Calls an external program to retrieve text that has to be included at the position of the match. The external program must be located in the current working directory or on the system PATH, accept the include name as its first argument and return the content to include on the standard console output. The same as insertsourcefileonregex, but will only perform the external call for each include_name once. All other instances are ignored. The binary file for this tool can be found here. I may post the source code on Github in future, and then update this post with the link.